Today marks the unveiling of the eagerly anticipated seventh timepiece by the Australian watch house, Melbourne Watch Company, with the ‘Sorrento’. 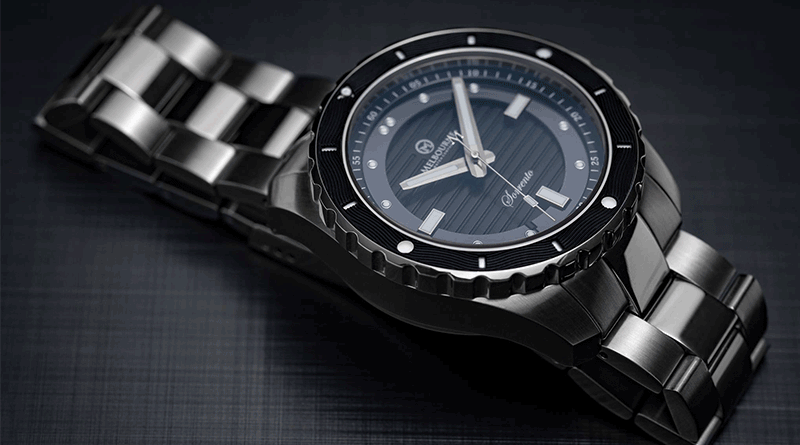 The Sorrento is the first divers watch produced by the company, a decision justified by client demand and how could they say no to the market which crowd funded their first watch, the Flinders, back in 2013. Set atop the 316L Stainless Steel case is a uniquely engraved enamel bezel framing the multi-layered ceramic dial. This detailed and intricate design captures your attention without being a show-pony, something this young company has consistently achieved. So what’s under the hood? Melbourne Watch Company have continued their utilization of Miyota movements in the Sorrento. Miyota is a Japanese movement manufacturer owned by the Citizen Holdings Co. who also produce movements used within Citizen, Invicta, Bulova and many other precise watches. Consistent with the brands previous launches, pre-sale orders can expect to pay significantly less than the final list price of $1099AUD, beginning at $699AUD during the first week in August and is expected to increase as they draw closer to their release date. Pre-sale orders can expect to receive their Sorrento in the first week in November – just in time for Melbourne summer. Early birds can register interest for the piece here. Be quick as Melb. Watch Co. are limiting their 2016 release to just 80 individually numbered pieces.